Tropical Storm Grace continues on its westward track and has the strengthening appears to have leveled off. Top winds are 50 mph and there has been little change in strength overnight. Tropical Storm Grace has perhaps another 12 hours or so before it begins to move into a hostile environment. There is little change to the National Hurricane Center forecast for Tropical Storm Grace as the track is generally westward and weakening should commence tonight. Shearing is rather strong just to the west of the tropical storm and that shear will steadily increase as it moves further west. To get a better understanding of what the environment for Tropical Storm Grace is take a look here at the wind shear that is forecast for the higher levels of the atmospher. Grace will be moving into the southern part of that belt of that strong belt of shearing winds that lies all across the tropical Atlantic north of 15 degrees north. That belt extends all the way back westward into the Caribbean. This belt of shearing winds remains pretty much unchanged through the period and the result on the GFS model is that you can’t even find Tropical Storm Grace by the end of the week. For the prospects of future tropical systems coming out of the tropical Atlantic it does not look likely because as we look at the weather maps out to a week or even two weeks the shearing environment remains pretty much unchanged. That belt of shearing winds remains virtually unchanged! The el nino pattern is just way too overpowering. 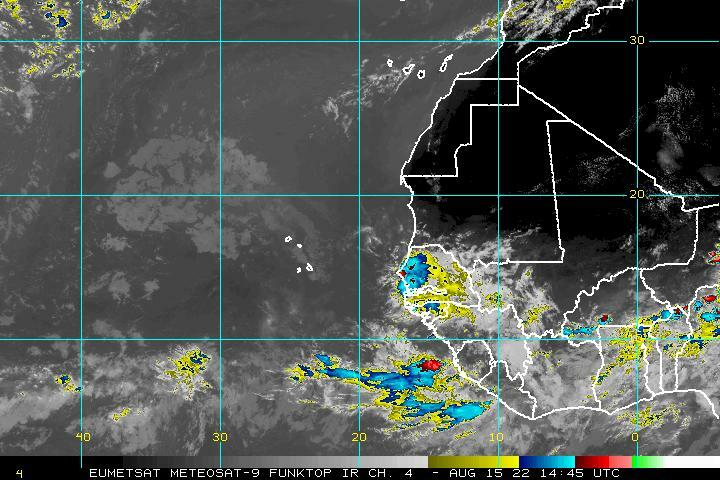 You have to wonder whether the tropical Atlantic season is pretty much done and that any activity is going to have to come from the northwest Caribbean, the Gulf of Mexico, and perhaps off the Southeast coast out to about 65 west. Even there the upper air is not all that favorable for development. Next Post:2 HOT DAYS THEN SOME MUCH NEEDED RAIN!